Kathy Kraninger, the president's nominee to head the main federal agency tasked with protecting consumers from financial abuse, failed to sway Democrats after a three-hour hearing before the Senate Banking Committee. Under questioning from lawmakers, Kraninger resisted being drawn out on how she planned to run the Consumer Financial Protection Bureau (redubbed the Bureau of Consumer Financial Protection by the Trump administration). Kraninger said in her opening statement that she would strive for transparency and fairness in leading the agency, which since its founding in 2010 has become a symbol of the partisan political divide on government regulation. Credit freezes are one of the most powerful tools you have against fraudulent use of your identity. Unlike a fraud alert, which just requires that creditors take reasonable steps to verify your identity when a credit request is made in your name, a credit freeze stops creditors from accessing your report at all. If a creditor can't access your file, they're unlikely to extend credit to you. You must freeze your credit file with each of the three major credit bureaus (Equifax, Experian, and TransUnion) individually. Each bureau will give you a PIN to use for future thawing and re-freezing of your credit. You may want to also freeze your credit at the lesser-known credit bureau Innovis, as it's still a potential avenue for enterprising thieves to get your info. ANNAPOLIS, MD – Governor Larry Hogan today announced a comprehensive series of initiatives to make a college education more affordable and provide relief to Marylanders burdened by student debt. Governor Hogan made the announcement at the Universities at Shady Grove campus in Rockville, Md. In a Thursday vote, the House approved H.R. 6147, the Financial Services and General Government (FSGG) Appropriations Act for Fiscal Year 2019. CUNA supports the legislation as it continues to build upon CUNA’s Campaign for Common-Sense Regulation. The bill would delay the effective date of National Credit Union Administration's (NCUA) risk-based capital rule to January 2021 and provide funding for the Treasury's Community Development Financial Institutions (CDFI) Fund, which is used for grants and awards to foster growth, achieve sustainability and revitalize communities. Back in the early-1990s, when Arizona Attorney General Mark Brnovich started his legal career, the internet barely existed, no one knew what a “web page” was, phones were not smart, and people could not commit many crimes using a computer keyboard. Times have changed. And now, as Arizona AG and chairman of the Conference of Western Attorneys General (CWAG), Brnovich is in a perfect position to analyze and comment upon the many ways in which technology has impacted the job of Attorneys General everywhere. Among Brnovich’s top concerns these days is figuring out how to combat the escalating scourge of cybercrime while also respecting people’s right to privacy in the digital realm. As AG, Brnovich is also mindful that government overreach can stifle business innovation, so he tries to use his office to create a level playing field for all. WASHINGTON, D.C. — The Bureau of Consumer Financial Protection (Bureau) today announced a settlement with Triton Management Group, Inc., a small-dollar lender that operates in Alabama, Mississippi, and South Carolina under several names including "Always Money" and "Quik Pawn Shop." FOUNTAIN VALLEY, Calif. - In April, Amazon made a move to allow owners of certain General Motors and Volvo vehicles to have packages delivered inside their vehicles. Its move Wednesday could deliver ready-to-buy shoppers to Hyundai dealership lots. Hyundai has launched a digital showroom on Amazon.com that lets consumers check out pricing and reviews, set up test drives, view dealer inventories and utilize other Shopper Assurance perks. All this can be done directly through Amazon Vehicles. “This collaboration with Amazon provides customers with the ability to learn about Hyundai vehicles in a way that matches their expectations for nearly every other type of purchase,” said Tim Maxwell, Hyundai Motor America’s senior group manager for digital marketing, in a news release. MINNEAPOLIS--(BUSINESS WIRE)--Jul. 19, 2018-- This summer, U.S. Bank and its 74,000 employees are making work and play possible for one million people by helping young people learn how to start their own businesses, refurbishing play spaces and providing $6 million in Play grants to nonprofit organizations across the country (Work grants to be announced this fall). It’s part of U.S. Bank’s corporate social responsibility work focused on economic development, which comes to life through Community Possible, the company’s giving and engagement platform that closes the gap between people and possibility in the areas of Work, Home and Play. Federal Reserve officials are planning to move quickly to ease regulatory burdens on regional banks by implementing the bipartisan legislation signed by President Trump in May. The law gives regulators an 18-month deadline for putting the regulatory relief measures in place, but “we can and will move much more rapidly than this,” Fed Vice Chairman for Supervision Randal Quarles said Wednesday in a speech at an American Bankers Association event in Salt Lake City. The law eases a number of regulations that apply to regional banks — banks that are larger in size than community banks, but much smaller and less complex than Wall Street megabanks like JPMorgan Chase and Goldman Sachs. The Federal Trade Commission, along with law enforcement officials and charity regulators from 70 offices in every state, the District of Columbia, American Samoa, Guam and Puerto Rico, announced more than 100 actions and a consumer education initiative in “Operation Donate with Honor,” a crackdown on fraudulent charities that con consumers by falsely promising their donations will help veterans and servicemembers. The fintech startup Abra's decision to let customers use credit cards to buy cryptocurrency — a move at odds with recent actions by Bank of America, JPMorgan Chase, Citigroup, Capital One and Discover — is again raising the question of whether the practice is too risky for financial institutions to allow. The big banks made their move in February after a precipitous drop in the value of bitcoin, Ethereum, Ripple and Bitcoin Cash, worried that crypto buyers, some of them highly leveraged, would buy high and balk when the credit card bill came due and their currency was worth far less than its purchase price. Just as Mick Mulvaney fired members of a board that advises the Consumer Financial Protection Bureau on consumer issues last month, the agency's acting director was also taking steps to re-form the panel with less than a quarter of its sitting members. On June 5, Mulvaney signed an amended charter to reconstitute the consumer advisory board with only six members, according to a copy of the charter obtained by American Banker. A day later, the board's 25 volunteer members were fired along with roughly 35 members of two other advisory boards. The board's new amended charter states that the board "will have no formal decision-making role and no access to confidential supervisory or other confidential information." ATLANTA, July 18, 2018 /PRNewswire/ -- As more Georgia consumers take advantage of the service-driven culture of credit unions, credit unions are experiencing significant and consistent loan growth. The full House on Tuesday night passed by a 406-4 vote the JOBS and Investor Confidence Act of 2018, also known as House Financial Services Committee Chairman Jeb Hensarling’s “JOBS Act 3.0,” which includes a package of 32 bills, some of which make changes to the Dodd-Frank law. Taxpayers have until midnight tonight to share concerns about an end to public access of a consumer banking complaint database -- the latest in a series of moves by the Trump Administration to dismantle the Consumer Financial Protection Bureau. Researchers have discovered yet another misconfigured repository bucket – this time leaking the information of U.S. voters. The information was exposed on a public Amazon S3 bucket by a Virginia-based political campaign and robocalling company called Robocent. WOODLAND HILLS, Calif. – July 18, 2018 –Account Control Technology Foundation (herein ACT Foundation), is honored to announce the 2018 recipients of the ACT Foundation scholarships. The two categories are: The ACT Foundation Second-Year Scholarship for first-year college students nationwide who will enroll as sophomores in the upcoming fall semester and the ACT Cares Community Scholarship allocated for graduating high school seniors from select communities surrounding Account Control Technology Holdings, Inc.’s (ACT Holdings) 18 office locations. If Assembly Bill 2825 (authored by Assembly member Reginald Byron Jones-Sawyer, Sr., Los Angeles) passes, auto repair shops, including collision repairers, will turn into debt collectors—a job that they’re not suited for, according to Jack Molodanof, head lobbyist for the California Autobody Association. Originally written to deal with towing companies, AB 2825 was amended on June 18 to include any company that repairs vehicles. WASHINGTON, DC (July 17, 2018) — National Association of Federally-Insured redit Unions (NAFCU) Regulatory Affairs Counsel Andrew Morris sent a letter to the Bureau of Consumer Financial Protection (BCFP) noting credit unions have a paramount interest in resolving member issues and requested the agency remove its subjective Consumer Complaint Database from its website. The letter is in response to the Bureau’s request for information (RFI) on processes related to collecting and responding to consumer complaints and inquiries. The credit union (CU) market has long argued that rules intended for larger, more traditional banks have unjustly been applied to their industry, stifling their growth and pace of innovation. However, recent changes in regulations could open new doors for the credit union market to more efficiently serve its members. The July/August Credit Union Tracker looks at how the credit union market is pushing back against regulation and pursuing new innovation strategies, how regulatory changes are creating opportunities for credit unions to expand into new markets, and how one credit union is stepping up to assist members displaced by a natural disaster. BOSTON — A Tennessee-based credit union will discharge approximately $450,000 in education-related loan debt and will make available $200,000 in cash refunds to hundreds of affected Massachusetts students in connection with their purchases from The College Network Inc., Attorney General Maura Healey announced today. Microloans are small loans which are issued to businesses by individuals opposed to credit unions or banks. The concept of microcredit originated in the developing world, as a means of helping people in smaller economics have the ability to launch their own business. Microlending subsequently took off around the world, and today, small business microloans are an effective way to lend entrepreneurs and small businesses in the U.S. with the funds they need to start and develop their business. Ohio: Credit unions are disagreeing with claims that they will directly benefit from a new bill that’s written to crack down on the payday lending industry. As the credit unions argue, they’re already operating from a different, tough set of rules. Payday lenders have claimed the Senate’s version of the payday lending crackdown would create an unlevel playing field. But Emily Leite with the Ohio Credit Union League says they’re exempted from the bill because they already work under a different section of code. Leite adds that strong consumer protections create a positive ripple effect. Online and mobile lending is a comparatively new phenomenon, so much so that rules surrounding said phenomenon are often either incomplete or straight-up nonexistent. Recently, New York’s Governor Andrew M. Cuomo directed the state’s Department of Financial Services (DFS) to study online lending in New York and bring back recommendations accordingly. Those recommendations recently came out, and the word is surprisingly reasonable. 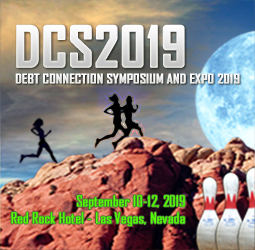 Essentially, the DFS found that online lenders should be subject to the same rules, regulations, and investigation that any normal bank would face, as noted by DFS superintendent Maria T. Vullo. Latest battle over California lending market: Should grocery stores offer large loans? LOS ANGELES — Walk into a Northgate supermarket and, along with produce and pan dulce, you can walk out with a small loan from the store’s Prospera financial services stand. Those loans top out at $2,500. Now, a bill working its way through the state Legislature could boost that maximum to $7,500 — enough, the bill’s author said, to pay for an immigration lawyer or a funeral. The loans are marketed by Northgate but actually made by Insikt, a San Francisco firm that argues the change would help working families and small-time entrepreneurs while disrupting California’s increasingly expensive market for personal loans. Lenders commonly charge interest rates higher than 100 percent, while Insikt, if the bill passes, would be able to charge no more than 35 percent, plus fees. WASHINGTON, July 13 (Reuters) - U.S. consumer watchdog chief Mick Mulvaney ordered that a debt collector and its former chief executive be fined $800,000 for harassing customers, but he dropped $60 million in customer payouts that his Obama-era predecessor had sought, according to three people familiar with the decision. WASHINGTON, D.C. — Today the Bureau of Consumer Financial Protection (Bureau) announced a settlement with National Credit Adjusters, LLC (NCA), a privately-held company headquartered in Hutchinson, Kansas, and its former CEO and part-owner, Bradley Hochstein.